In 1997, filmmaker and music video director Grant Gee seemed to have obtained one of the most coveted tickets available – an all-access pass to follow the rock band Radiohead on their world tour immediately after the huge overnight success of their CD OK Computer. Over the course of the succeeding months, the tour descended into the hell of fame, fans, and media – and Gee never stopped filming. Meeting People Is Easy (1998) is a rockumentary only in the sense that it’s nominal subject is a rock band. What Gee focuses on are the chasms and the disconnects between the great triumvirate of pop music: the fans, the media, and the musicians. What almost gets lost in this three-way scrum is the music. As Radiohead’s tour extended from weeks into months, the blur of concerts, cities, buses, highways, airports, press conferences, and photo shoots took its toll on the musicians, especially Thom Yorke, their lead singer and muse. Gee translates the emotional gut of every scene into a gritty texture using available light and techniques like flare, grain, focus, layering of images, and splashes of pure color. As the unity of the band disintegrates around him, Yorke’s only moments of solace seem to come when he sings for the sound check in concert halls that are completely empty except for the busy roadies, who pay no attention. 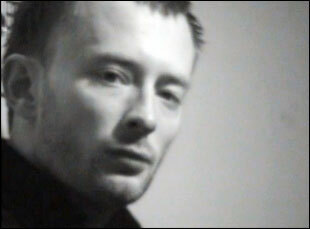 By the end of the film, Yorke’s notoriously plastic face looks as if it has been put through the wringer from pressure and disappointment as he comes to realize that Radiohead’s cult status has all but swallowed up their music. In one telling scene, an insouciant Yorke simply holds the microphone out toward the crowd, which is more than happy to sing Radiohead’s song themselves. All the band really needs to do is show up. As we watch Yorke in particular struggle with the fallout from fame and with the never-ending media circus, it’s impossible not to think back to D.A. Pennebaker’s compelling film profile of a young (but wise beyond his years) Bob Dylan (Dont Look Back, 1967), in which Dylan uses no small amount of arrogance and absurdity to combat the stupidity of the press and the overzealousness of the fans. By the end of Meeting People Is Easy, it’s not clear that Yorke or the rest of the band have similar resources. As Gee says in an interview, the members of Radiohead were probably too nice for the “brutal” world of pop music. Surprisingly, the entire Meeting People Is Easy can be found on YouTube. Gee’s other major film Joy Division (2007) is a documentary of the short-lived band Joy Division, a band that emerged in 1978 from the punk scene of economically-depressed post-industrial Manchester and which produced only two full-length albums. Lead singer Ian Curtis committed suicide before the second album was released, bringing an abrupt end to the band (although the remaining members reorganized as New Order and went on to have a lengthy career under that name). Joy Division is a more traditional documentary blend of highly engaging talking heads and historic footage of the band, interspersed with period images of Manchester. But one of the elements that make both Meeting People Is Easy and Joy Division stand out is Gee’s uncanny ability to find powerful visual vocabularies that are suitable to each band’s music. Here’s the trailer for Joy Division. W.G. Sebald doesn’t seem like the logical successor to Ian Curtis and Thom Yorke, yet he is. As I wrote earlier, Gee’s next film, which will premiere on January 28, 2011, is Patience (After Sebald). If you watch Gee’s two previous films I think you’ll get a sense of why Sebald might have attracted his attention. Written and directed by the award-winning filmmaker Grant Gee, Patience (After Sebald) is a multi-layered essay film on landscape, art, history, life and loss. It offers a unique exploration of the life, work and influence of W.G. Sebald (1944–2001) via a long walk through coastal East Anglia tracking The Rings of Saturn. Visually and aurally innovative, Patience features contributions from Tacita Dean, Robert Macfarlane, Katie Mitchell, Rick Moody, Andrew Motion, Chris Petit, Iain Sinclair and Marina Warner.